What is the cost of implants? Cost of dental implants is the number one question asked by our patients every single day. The answer is simple and complicated. A single tooth implant ranges from $1,800 to $4,000. Multiple implants or implant dentures range from $3,600 to $50,000. There is no denying dental implants are expensive! Like art and science, you are buying a service, not a product. Dental Implants can last a lifetime with proper placement by an implant expert and care by the patient. Unfortunately, when an implant procedure is not done correctly, it can turn into a stressful and traumatic dental visit. The oral cavity allows for an almost impossible space for a dentist to perform any surgical procedures, sometimes as little as two millimeters. This is one of the many reasons you should choose a dental implant expert when considering an implant procedure. Dr. Travis Kendall is one of those dental implant experts who perform these sophisticated techniques with specialized devices required for a stress-free visit. He has had extensive training and goes above and beyond the primary dental implant education. 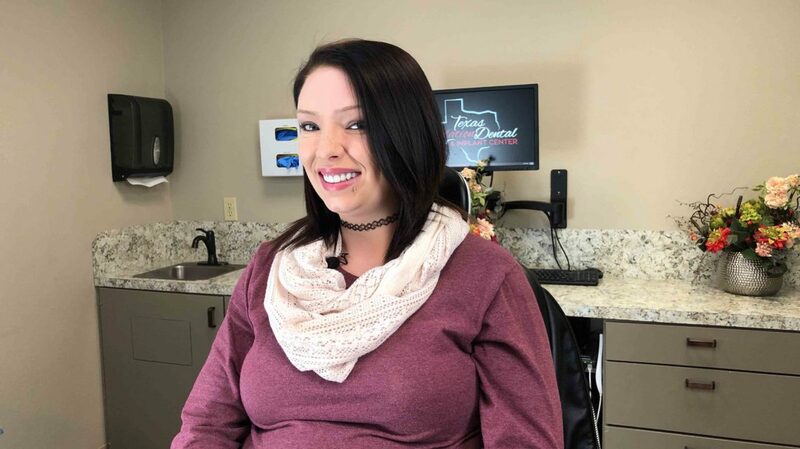 Our mission at Texas Sedation Dental and Implant Center is to deliver the highest quality of dental implants and sedation procedures. Starting with our warm greeting, you will experience a stress-free environment from the moment you walk into our office. You will notice the difference! 1. Single Implant: Single tooth implants are the best option for replacing missing teeth because it is similar to your natural tooth. 2. Same Day Dental Implants: Also called Immediate Load Dental Implants or Teeth in a Day. Same day dental implants allow placement of a temporary tooth during the same dental visit. This procedure could be a good option if you have enough natural bone to support immediate placement. During your consultation, Dr. Kendall and his staff will determine if you qualify for this option. 3. All on 4: Replaces teeth from top to bottom with what is called a full arch. These dental implants are placed on available bone, avoiding the need for bone grafting. Individual abutments are used to replace teeth the same day. Patients must follow a balanced diet while gum tissue heals so that the dental implants can bond with your natural bone. After a few months, the permanent replacement teeth are put in place giving you a natural look and feel. When patients ask why the cost of dental implants vary, the answer is not something we can give you over the phone. We believe in educating our patients and laying out every option available for each case. It is not an easy task but one we are committed to, delivering to the best of our ability. It is one of the many reasons we have high reviews, and our patients refer and talk about us. Every day more and more patients choose dental implants, and their testimonials are powerful. It is why we love what we do! Compared to other teeth replacement options, dental implants offer a long-term quality of life that is worth becoming confident in your smile once again. Does my insurance cover dental implants? Due to the long-term replacement options that dental implants provide, your insurance company may offer some coverage. Should your finances not allow or your insurance plan will not cover your procedure, we have several financing options available. We can help those patients that are committed to living life with a big smile again.